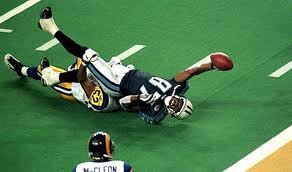 Super Bowl XXXIV: The St. Louis Rams beat the Tennessee Titans, 23-16 at the Georgia Dome in Atlanta. This was the first Super Bowl to be broadcast in High Definition. And after living in New Orleans then St. Louis and suffering through the Saints, Cardinals, and Rams, it was the first time my home team won the Super Bowl (actually, it was the first time any of my home teams won any major sports championship).